Huawei is using photos created with a DSLR to promote their new P30 Smartphone Pro Camera rather than photos actually taken with the camera. This is the third time they have been caught using DSLR stock photos to promote the use of their smartphones. They seem to have no qualms about misrepresenting their products to the public and potential buyers. Lohian Networks a keywording agency in India reports that Paris based Photononstop has not been paying its bills and may be in financial difficulty. Rashi Jain, Project Coordinator for Lohian Networks reports that in 2016 his company keyworded 3788 images for Photononstop at a rate of $1.25 per image for a total cost of $4,735.00. Invoices were sent in June and July 2016 via Photosindia in the U.S. Almost two years later these invoices have not been paid after repeated followup requests. Shutterstock has announced the launch of its Dublin office with the intent to initially hire 40 professionals including engineering roles, and to potentially grow the team further over the coming years. This project is supported by the Irish Government through IDA Ireland. VisualSteam has released the results of its 5th Annual Survey of Creative Pros on the issue of Stock Image Licensing. The survey was sent to US art buyers, art directors, art producers, creative directors, photo editors and marketing professionals and provides a glimpse into what is driving image licensing today. Capture will be showcasing its new front-end Capture WEBSITE 3 technology – the window to your assets which forefronts audience engagement - at the DMLA 2017 conference in New York on October 22-24. 20/20 Software, a leading provider of multi-media websites and image/business management software to media libraries, museums, corporations, institutions, and newspapers, has outlined some of the newest tools it offers for working with footage. 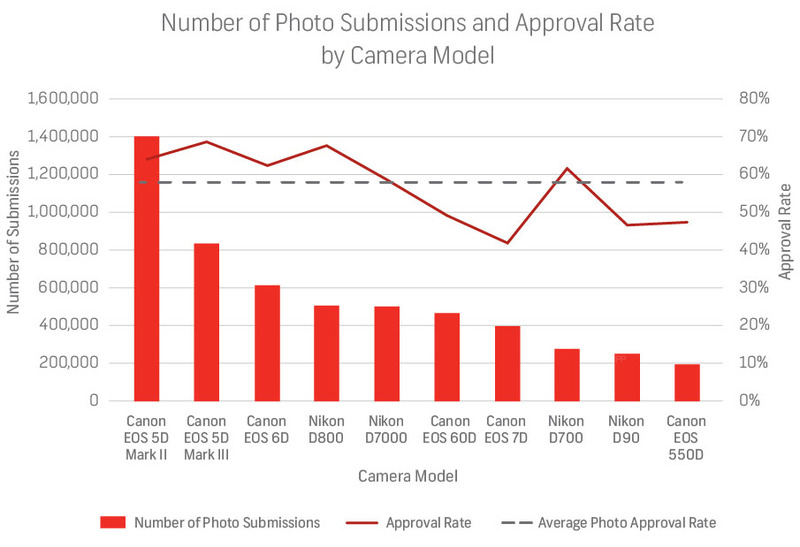 One of the biggest problems in the photo world today is that we are being buried in photos. InfoTrend estimates that consumers will take 1.2 trillion photos worldwide in 2017. The compound annual growth rate (CAGR) is 9%. This year 3,934,500,000,000 will be stored on hard drives and other formats worldwide. As prices for the use of stock photos decline it becomes important to find ways to cut overhead and production costs in order to earn a profit from your efforts. If you’re a photographer, living in New York or Western Europe, and looking to for ways to reduce the costs of studio production shoots with multiple models you might want to consider flying to Kiev, Ukraine. Adobe has released a host of new features and performance enhancements for its Creative Cloud users. Of greatest interest to stock photographers is the addition of an all-new Premium Collection of over 100,000 high quality stock images. Images will be available for single download purchase and priced between $100 and $500. In addition, there are other key enhancements to Adobe Stock that provide a deeper integration with Creative Cloud apps. Envato, an Australian company that has provided resources and educational services to the graphic design community since 2006, has announced that it will expand its operations to the United States in 2016. At Adobe MAX 2015 in Los Angeles today Adobe outlined its vision for a "connected creative canvas" where people create and share their work from anywhere. More than 7,000 graphic designers and photographers attended. The new Adobe Digital Publishing Solution (DPS), the next generation in its groundbreaking Digital Publishing Suite, pioneers new ways for brands to deliver high-impact content to mobile apps and is likely to result in more images appearing in apps. It will also become increasingly difficult for image creators to know if their images are being used in apps, or not. Picsbuffet (https://picsbuffet.com/#) offers a new method of image search that allows users to easily, visually explore huge sets of images. The images are laid side by side in a “map style” format with similar images close to each other. Fiverr, a marketplace for digital services, and Getty Images, have unveiled a partnership that puts premium creative services in the hands of small and medium businesses (SMBs), empowering them to produce creative once only thought possible for large enterprises. Fiverr sellers, which include graphic and web designers, can tap into an unrivaled trove of the world's best images from Getty Images and iStock to produce eye-catching ads, social content, fan pages, apps and just about any other creative design imaginable. LMKtag (also Lamark) has developed a relatively inexpensive system to embed tags, invisible to the naked eye, in digital images files. These tags link back to a LMKtag database that contains the image creator’s name and contact information as well as whether the image is available for licensing. The database can also include caption information and other metadata about the image and the creator can adjust this information at any time. Can Powerpoint Presentations Be An Important Market For Stock Photography? Microsoft say that worldwide there are about 400 new powerpoint presentations being prepared each second. That works out to about 12.6 billion presentations a year. A significant percentage of them use multiple images. Some are the creator’s personal images. But the vast majority are grabbed from the Internet via Google, Bing, Flickr or somewhere else. If users paid even $1.00 for each image used in such presentations the annual gross revenue might be more than 5 times the revenue generated worldwide by the stock photo industry. The launch of Windows 10 later this year could dramatically change the way people find pictures. On April 29th during the annual Microstock Build Developers Conference in San Francisco Microsoft CEO, Satya Nadella described how Microsoft intends to (1) Build the Intelligent Cloud, (2) Reinvent productivity and business process and (3) Create more personal computing. What’s The Most Popular Professional Camera? Shutterstock has provided a list of the 10 most popular cameras used by their contributors in 2014. (See Chart.) They obtained this information by extracting the EXIF data from the photos uploaded. Adobe has announced that it has entered into a definitive agreement to acquire privately-held Fotolia for approximately $800 million in cash. Fotolia will be integrated into Adobe Creative Cloud, providing current and future Creative Cloud members with the ability to access and purchase over 34 million images and videos. Recently, Photoshelter launched Lattice, a Pinterest like curation and discovery experience designed to show off the best of more than 200,000,000 images from the 80,000 pro photographers that use PhotoShelter. Currently “boards” are created by in-house staff and “invited curators.” The vision is that eventually anyone will be available to create boards. Photographers can recommend certain of their best images for addition to boards, but for right now they cannot add images to boards directly. Microsoft, the world’s largest software maker and itself a massive consumer of image content for its products and services, has taken the bold step of promoting the theft of images online. Through its newly revamped Office product, Microsoft is replacing an image search functionality – one that routed the user to vetted sources for searching, transacting and integrating content into their online projects – with a general Bing search. While Microsoft is certainly free to remove one piece of Office functionality and push users onto the Bing platform, the methods of how it is doing so underscores a blatant disregard of intellectual property. Stipple, the leader in image-based advertising and e-commerce, (see previous story) has partnered with Getty Images to help advertisers better reach their image audiences and to help publishers monetize photos more efficiently. More than 1,000 designers responded to Graphic Design USA (GDUSA) annual survey designed to determine how stock imagery is being used. The survey indicates that use of stock imagery has grown nearly three times in 25 years since the first survey, starting at 39 percent in 1986 and reaching 98 percent in 2012. The survey also shows that 31 percent of designers are in a full-blown love affair, using stock images over 100 times a year, which is up 11 percent from last year.